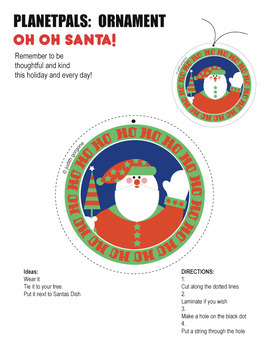 Help kids learn to think out of the gift box and to think about others this holiday! 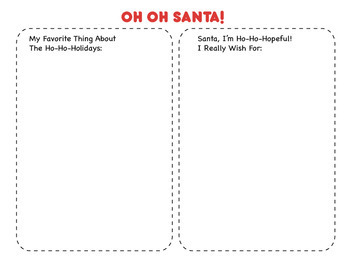 Fill Out Their Favorite things About the Ho-Ho-Holidays! Not just for for the Holiday! Planetpals™ PeacePal sends an imaportant Message for all ages! Planetpals Teaches kids about their world and how to be Planetpals Everyday. Learn to care for the Planet and be a Planetpal! Christmas, New Years and Holiday! ( Digital Download for Classroom and personal use Only). 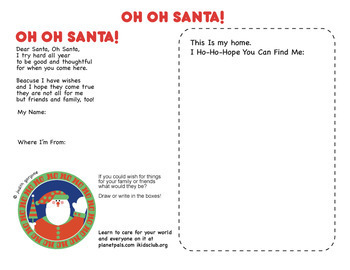 Planetpals.com and planetpalsgblog.com. Educational pages on the Earth Science and Environmental Topics. Nature and Recycling. It's Motto: Healthy World, Healthy People. Ikidsclub.org World Peace Everything: Peace, Love, Tolerance, Understanding ! Your world all wrapped up in these sites.